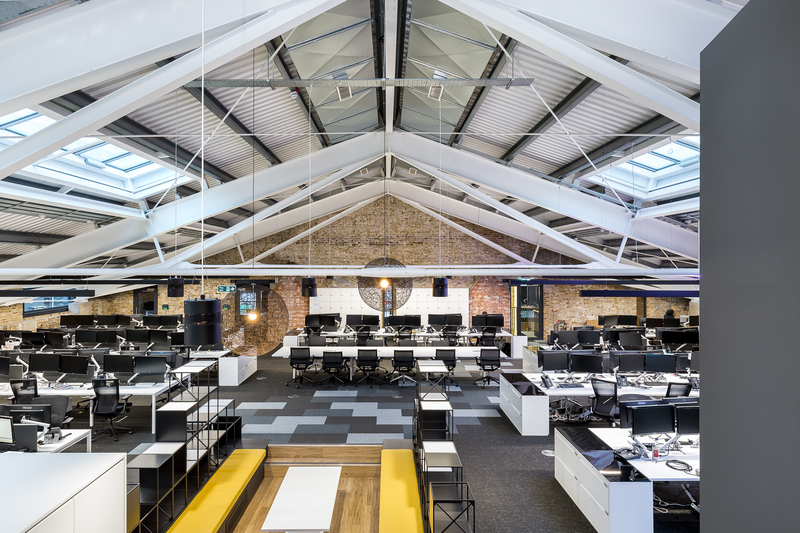 This week’s instalment of the #SBIDinspire interior design series features London-based design and build company Oktra who took on the challenge of transforming a Victorian building at King’s Cross Station into a remarkable ultra-modern workspace for 300 people. 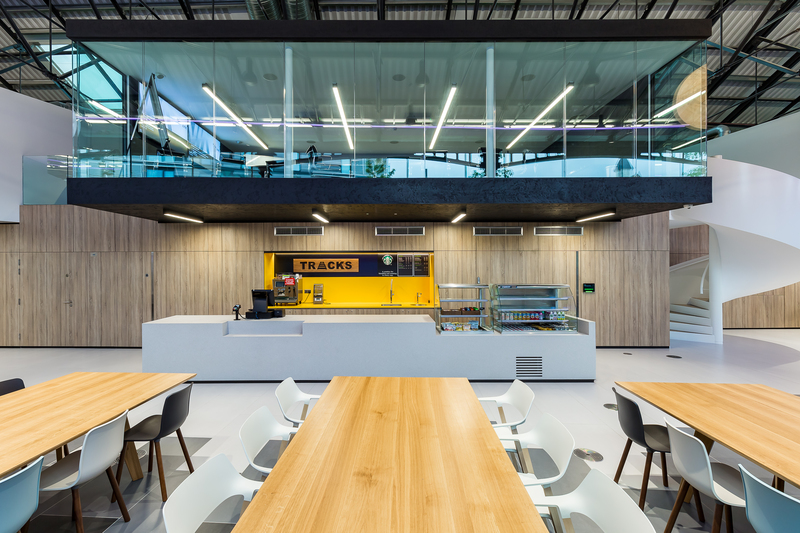 The brief was to create a forwarding-thinking collaborative workplace without affecting the original architecture of the building. 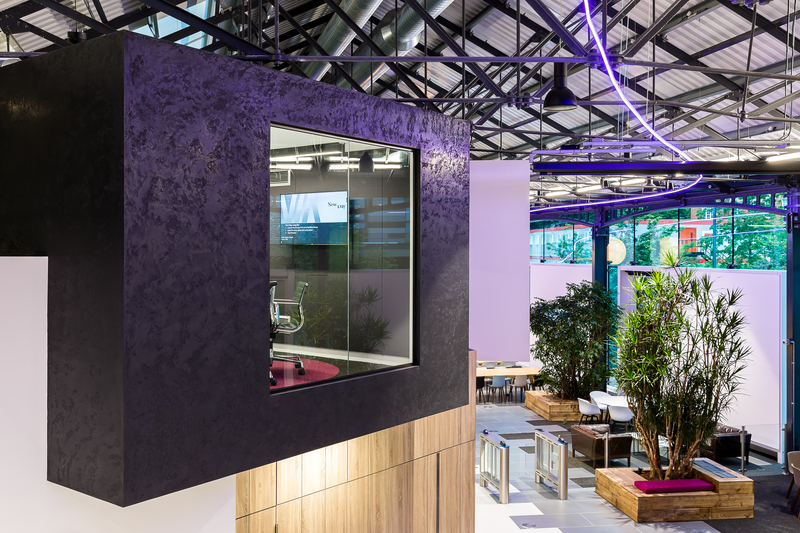 The Oktra team inserted contemporary design using intriguing landscapes and modern shapes into the industrial period building. 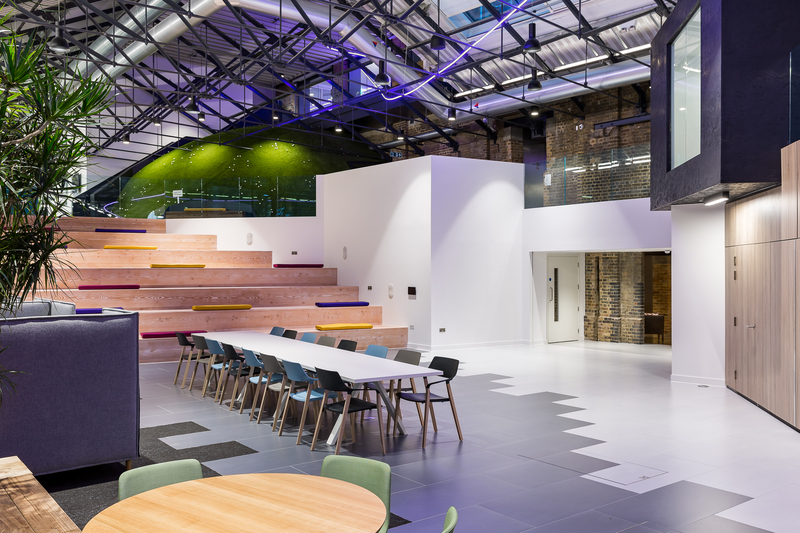 The space includes 300 fixed workstations, open plan desking and several meeting pods over an expansive café area. 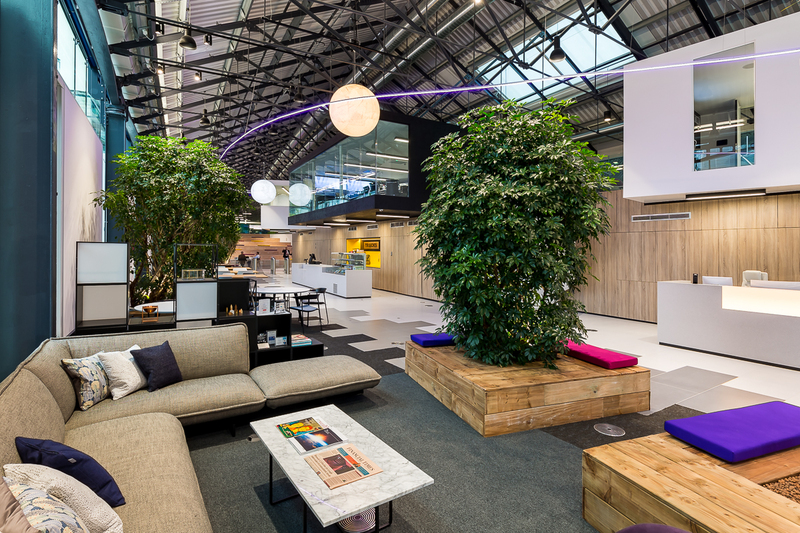 Biophilia is used throughout to create a relaxing natural environment and bring a sense of the outdoors in. 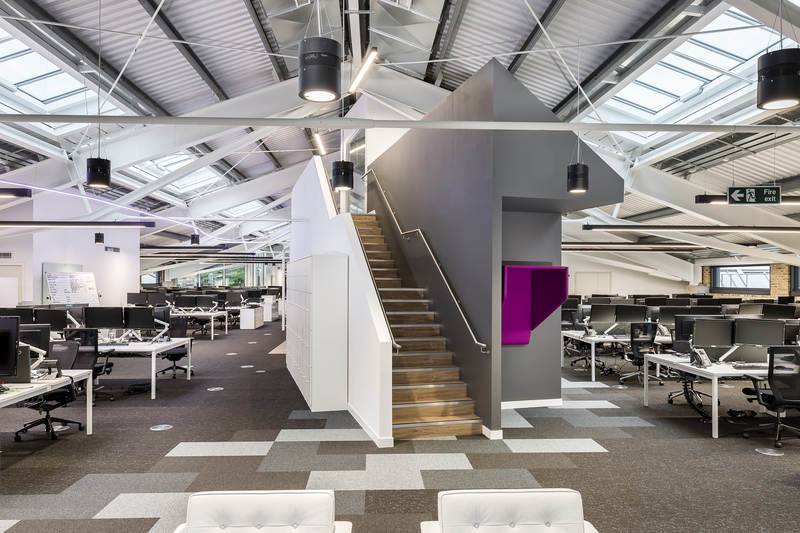 The space allows NewDay to choose how, when and where they work by offering a range of work settings. Each area is designed for a different type of task. 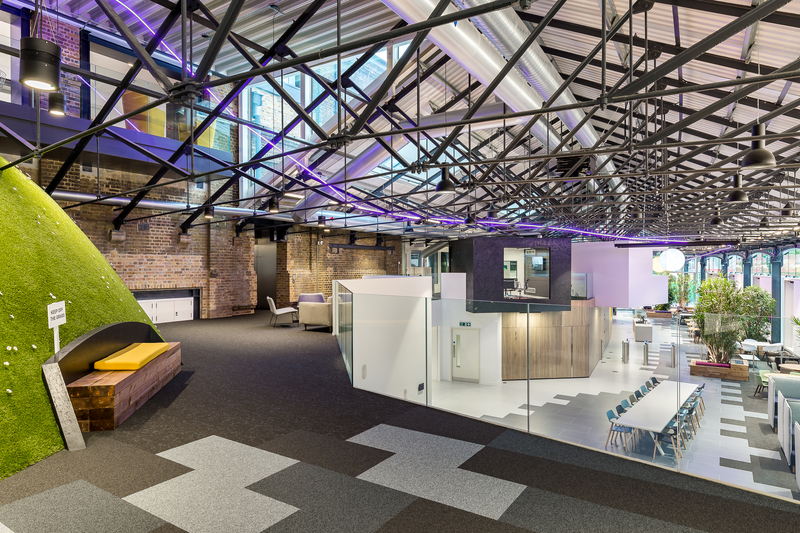 NewDay appointed our team to design a bold and modern 30,000 sq ft workspace in a magnificent Victorian building. They required a design which would grant more working space to help promote collaboration. 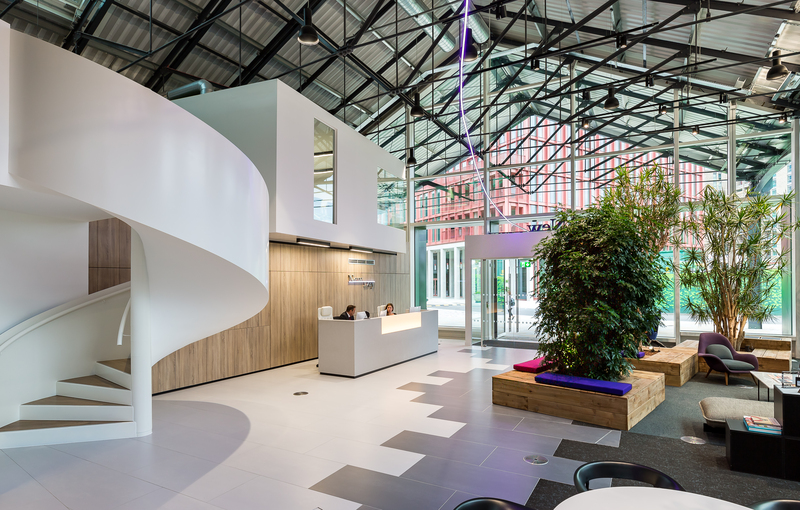 NewDay wanted a mixture of formal and informal meeting places, including 300 fixed workstations to encourage productivity and communication. Our vision was to achieve a contemporary design whilst retaining the building’s original mid-18th century features. To achieve this we inserted intriguing landscapes and modern shapes against the period brickwork backdrop to create an interesting and engaging juxtaposition which created a complimentary contrast between modern features and the characterful components of the previous architectural structure. We therefore had to come up with a design which was sympathetic to the buildings original features but also able to inject a lively and contemporary spirit into the property. 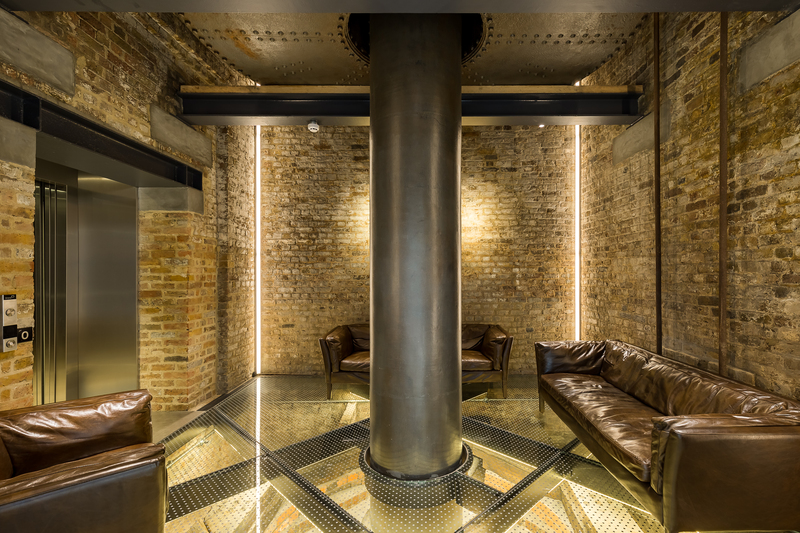 Working with and around the Grade II Listed building, and connecting the 2 parts of the building together visually was definitely the most challenging aspect of the project. The site has close proximity to rail tunnels below the ground floor and an acoustic floor separates the demise at first floor level so there were various reasons to tread carefully which we had to navigate as the project developed in order to complete the work without compromising on our original vision. The project’s most remarkable feature is a floating 60m long mezzanine suspended over an acoustic floor, leaving a striking impression on everyone who enters the space. This complex piece of engineering is completely independent of the existing building fabric, and maximises use of the space while offering a different perspective. This involved lengthy coordination of services from our team alongside a series of structural gymnastics within the raised floor. Being one of the most prestigious awards in the design industry, we were honoured to be finalists in the 2017 SBID International Design Awards. 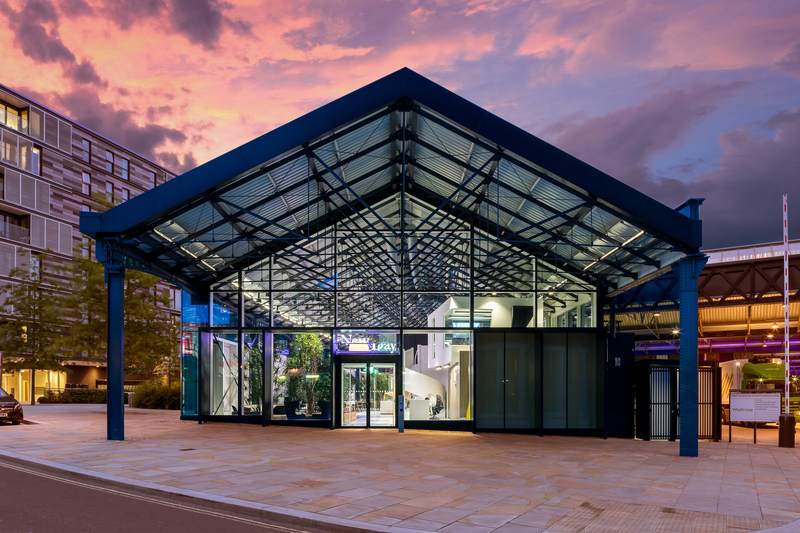 To be recognised by SBID is a true testament to the work we do as leading design and build specialists. If you missed last week’s Project of the Week with a sleek and faceted interior concept, inspired by the striking linear architecture of the Dollar Bay development in Canary Wharf, click here to see more. The 2018 edition of the SBID International Design Awards is now officially open for entries! Click here to register or enter your project!